From I-10: Take exits 674 or 677 to Highway 90 then to FM 957 & follow it for 8.5 miles. We are located on the right hand side before the Moravia store. From Hallettsville: Take FM 957 North. 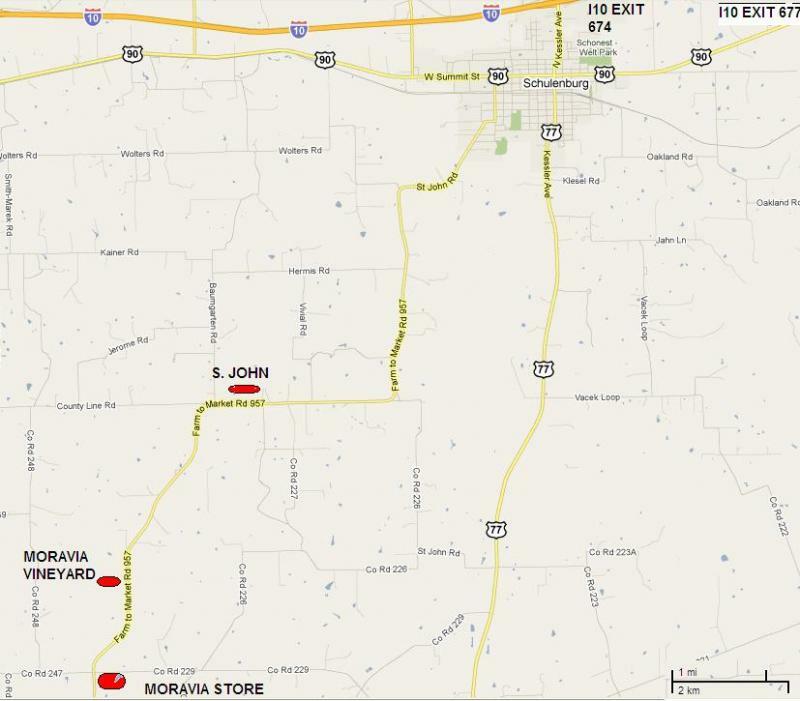 We are located about 1 mile past the Moravia store on the left. From Highway 77: take CR 229 to the Moravia store. Turn right on FM 957. We are located on the left.